Nigeria’s president, Muhammadu Buhari came under a severe attack by president Robert Mugabe, at the ongoing African Union summit in South Africa. 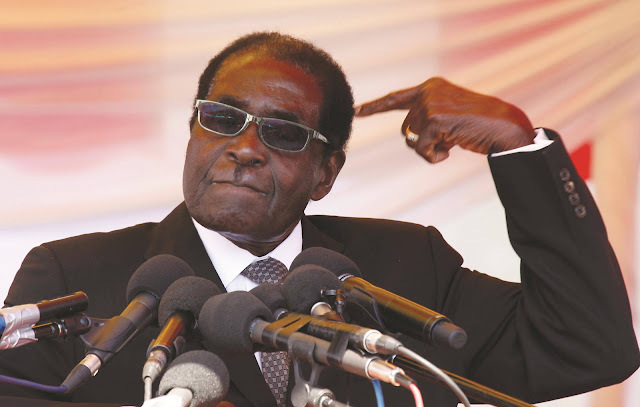 The Zimbabwean president slammed Nigeria and South Africa for their respective roles in voting the UN Security Council Resolution 1973 in 2011, which authorised military action against the regime of Libyan dictator Muammar Gaddafi. Although reports from the meeting has it that Mugabe, Africa’s oldest president, did not mention the countries by name, he stated that they betrayed the continent which could never trust them. According to iol news, South Africa and Nigeria were both on the council at the time, as they occupied two of the ten, non-permanent, two-year seats.